Why We Like Afterpay Shares (ASX APT) [New 2019 Research] | MF & Co.
Today we’ll look at why we think Afterpay (ASX APT) is a great stock to buy. In fact, we have been recommending this stock since before August 2018, at around the same time as Zip Co (ASX Z1P). Afterpay and Zip have returned over 200% and 125% respectively, since then. Afterpay is the leader (along with Zip) in the buy now, pay later segment. It is also one of the top shares to buy for 2019. Here is why we like Afterpay shares. Afterpay Touch Group Limited (ASX APT) is a leading company in the late payment service industry. By using the Afterpay service, customers receive their item immediately. Payment for their item is done over four equal instalments over a 56-day period. The focus is to pay off the total purchase price with no interest charged to consumers. Afterpay makes money by charging a fee to the retailer for setting up the arrangement. The company formed after a merger between Touchcorp Ltd and Afterpay Holding Ltd in March. It was listed on July 2017 on the ASX. The company strategy is to provide late payment options in the checkout section for a wide range of stores. Major stores inlude major players like Myer, Target, Big W, David Jones and Jetstar. These days, Afterpay is everywhere and is fast becoming a favourite payment solution for millennials. In the half year to FY2019, Afterpay has experienced exponential growth. Afterpay has also seen a reduction in late fees, falling from 1.2% down to 0.8%, down 32%. Worries that customers weren’t able to afford repayments seem to be misplaced. With this phenomenal growth, we can see that the buy now, pay later space definitely has a lot of traction. And customer behaviour is beginning to change. Adoption by Australian shoppers, especially by millennials is driving explosive growth. 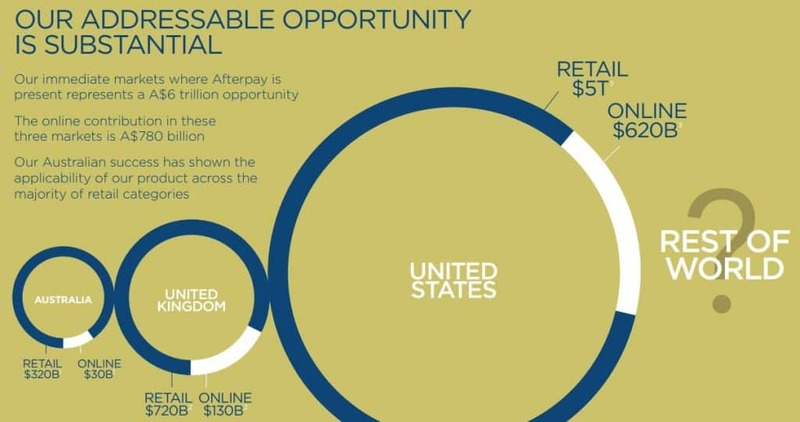 However, the upside opportunity for Afterpay is still ahead with their move into the US market. Supported by a strong balance sheet and considerable excess cash, APT launched in the U.S market in May 2018. The company has huge potential to gain customers and merchants stores compared with the Australian market. According to the ASX announcement, retail sales in the U.S market amounted to US$3,800 billion in 2017 and $5 trillion in 2018. Meanwhile, more than US$450 billion in 2017 ($620 billion 2018) was attributed to online sales compared to US$18 billion in Australia. In addition, the millennial market in the U.S is much larger than that in Australia. The US market has a millennial population of 63 million compared to only 6 million in the Australian market. Additionally, up to 67% of customers aged 18-29 don’t have a credit card, which provides considerable opportunity for APT. The company in the US has since had great success in the last six months, achieving A$260 Million GMV. In comparison it took 28 months to achieve this number in the Australian Business. Since entering into the US, Afterpay has secured 2,800 retail partners, 900K Customers, and 2 Milion Shop Directory Leads. Afterpay ramped up its expansion into the world by purchasing a company in the UK called ClearPay. Afterpay has described this as the “next logical step” after its launch into the United States. The UK is the third largest e-commerce market, with £133 billion in annual online sales. APT describes the UK environment as “favourable”, with the UK market having very similar behaviours to the United States and Australia. Since the successful launch into the US, we have confidence in Afterpay’s ability to break into the UK market. 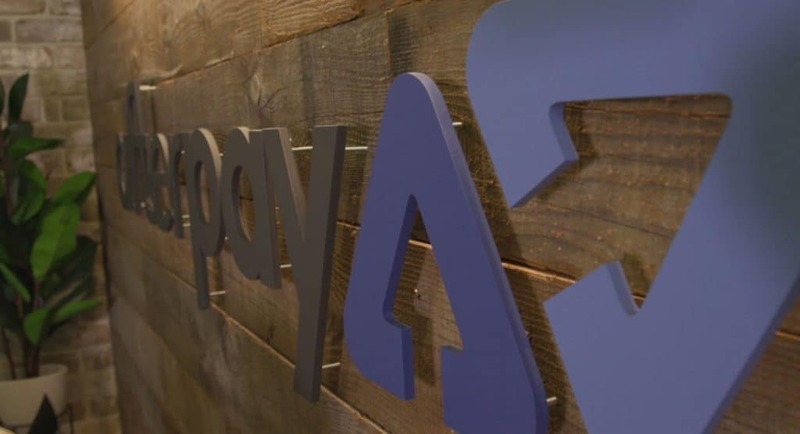 Afterpay’s internal controls have been in question of late. A press release from governance firm Ownership Matters outlined that underaged customers can buy alcohol using the platform. The potential risk for customers to break the law by using this platform resulted in ASIC stepping in to review the innovative payment providers sector. If the regulators enforce the platform to apply credit checks for their customers, it could be a huge cost for Afterpay. Profit margins will be cut considerably and it will completely change their business model. Moreover, a number of users will be affected because customers with low credit ratings will be rejected, leading to a decline in sales revenue. If there is no action in regulation, competitive pressure will come from other payment firms. This is because others will see an opportunity to provide quick and easy debt with less regulation. Since then, Afterpay has worked to tighten identity checks since the investigation and invested $60 million last financial year to strengthen internal regulations. In addition, the buy now, pay later model was recently flagged by a Senate Inquiry. The Parliamentary inquiry had warned that misconduct in the small-credit sector could potentially be worse than the banking royal commission. The inquiry came about due to the strong rise in operators such as Afterpay and Zip. However, the inquiry discovered that Afterpay’s model is unique. The inquiry discovered that the company did not lean on the consumer for income. This meant that the majority of Afterpay’s income didn’t come from late fees or interest. Unlike traditional credit cards, which do. Afterpay has also capped late fees so that it is less than 20% of total income. The inverse is true for credit cards. 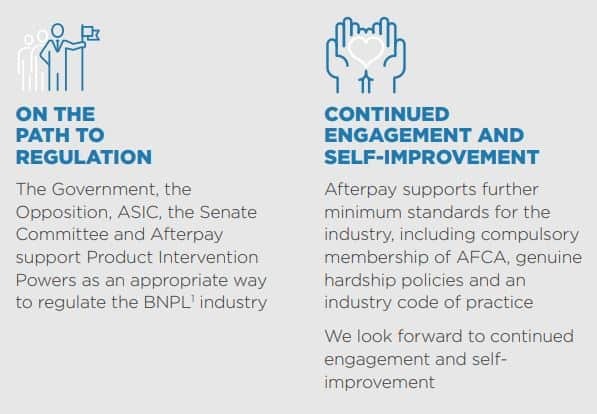 This has meant that Afterpay has escaped any heavy-handed regulations from the Senate Enquiry. They also support better standards and regulation for the industry as a whole. Short interest as a market-sentiment indicator is used to gauge how negative market participants feel about the stock. Shorting occurs on companies which investors perceive as overvalued, driving stock price closer to their fair value. 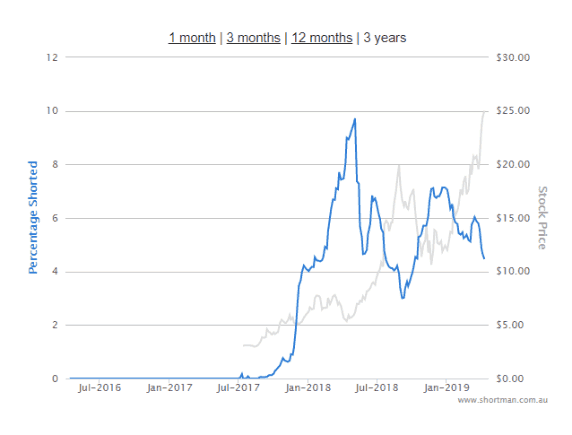 Short interest in Afterpay shares has been steadily rising since late 2017. However, this has fallen from a high of close to 10% to less than 5%. This is due to the positive news coming from the US and their entry into the UK. Additionally, any more positive news should drive short squeezes as shorters close their positions. This should drive the APT stock price even higher. Overall Afterpay showed explosive growth in 2018. They also have massive growth opportunities ahead with its move into the US and UK markets. However, further negative news about minors purchasing alcohol illegally using Afterpay could make the ASIC take action. Regulatory changes could restrict Afterpay and the service it provides, which could potentially complicate matters. As long as Afterpay can keep the ASIC issue at bay, we expect Afterpay to have strong growth potential in the near future.